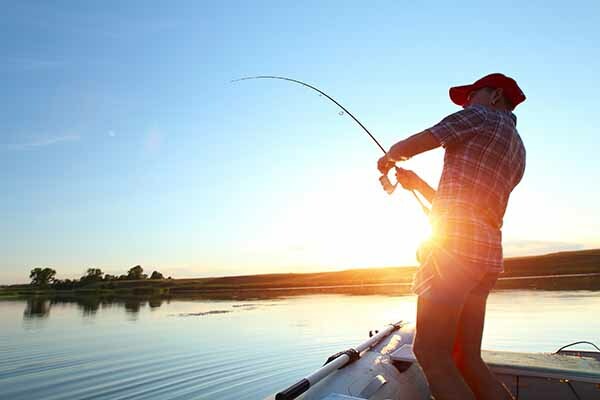 A lifetime fishing license is available in most states in the country and can be a convenient and easy way for residents to enjoy their sport without the hassle of renewing their fishing licenses. For fishermen who have children, purchasing a lifetime fishing license for their little ones can also be a great way to pass along the fun and excitement of fishing in their home state for years to come. While each state may charge different fees for lifetime fishing licenses, they are usually more of an investment for residents than buying a fishing license that expires within a few months. Some residents may not find the purchase of a lifetime fishing license appealing because of the higher price. However, the experts at FishingLicense.org have outlined four important reasons fishermen should consider purchasing lifetime fishing licenses for their children. Parents who have bought their children lifetime fishing licenses no longer need to worry about expiration dates. Since the fishing license is valid for the remainder of the child’s life, the parents will not have to deal with the hassle of renewing the license and paying another fee each time it expires. The lifetime fishing license can be used throughout the child’s life in the state it was purchased, so the only time another license must be obtained is if an out-of-state trip is planned. According to the team at FishingLicense.org, parents and guardians should consider the type of lifetime fishing license they decide to purchase for their child. If a freshwater lifetime fishing license is purchased, parents will need to also purchase a temporary or lifetime fishing license for saltwater fishing, if fishing in the ocean is desired. Some states may offer a combined lifetime fishing license that covers both saltwater and freshwater fishing. While the cost of a lifetime fishing license may be higher than a temporary license, most families find they save money on license fees by opting for the lifetime license. The experts at FishingLicense.org recommend that parents first consider how often the family may be fishing and add up the fees to purchase a temporary fishing license for these intended trips. Often, the fees for several temporary fishing licenses will calculate to more than the cost of one lifetime fishing license. Families who frequently go on fishing trips and plan to take their children with them may save money on licensing fees by purchasing lifetime fishing licenses for their children. In addition to saving money on fishing license fees, you can also save yourself the time and hassle of filling out extra paperwork. With a lifetime fishing license, you will only need to apply for the license once. You will be required to send in proof of identification and complete forms that ask questions about your child and his or her fishing habits. Once this paperwork is on file with the state and the fees have been paid, you will not need to complete additional documentation for every fishing trip you plan. If you do not have a lifetime fishing license and realize your license is nearing its expiration, then you may also need to worry about the processing of your paperwork in time for your next trip. According to the team at FishingLicense.org, paperwork, processing time and expiration dates do not apply to a lifetime fishing license, making it convenient for families who plan fishing trips often. In most states, the fees that are paid when a lifetime fishing license is purchased contribute directly to the conservation of wildlife, including local lakes, oceans and waterways. The fees paid when a lifetime fishing license is purchased may be high, but they are used to ensure the security of the fish and lakes so your children can enjoy them for years to come. The group at FishingLicense.org encourages families to consider lifetime fishing licenses for their children so they can monetarily contribute to wildlife and environment protection in their state.